If you’re in the drone flight hobby, then you have surely heard of people using their drones to make some serious money. Maybe you have a friend who sells awesome drone photos that he takes whenever he goes to the beach or up some mountain trails. Perhaps you have noticed how common drone footages are used in recent films, whether they are big budget or independent productions. 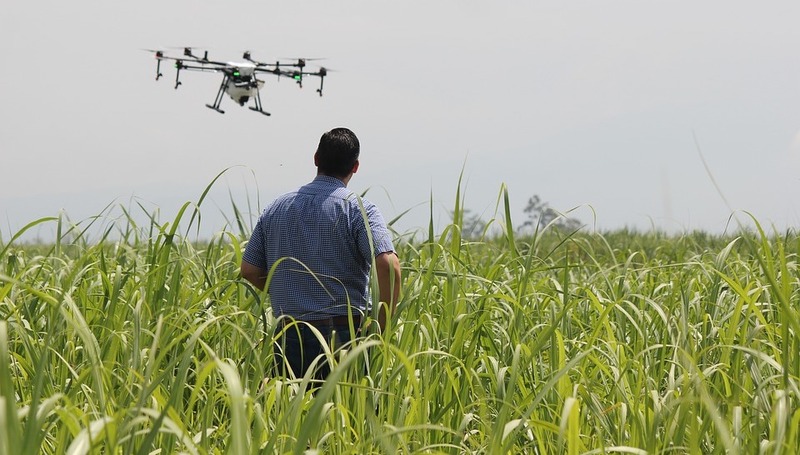 Or maybe you have read about how some farmers have started to use drones as a more time-efficient and practical means to monitor their crops. Let’s face it: that sophisticated flying machine you have probably cost a lot. That’s why it’s very tempting to use drone technology to earn back some of your expenses and to even make a profit off of your drone. Hold your horses, though. Using your drone to make money isn’t as simple as flying just for fun. In this article, we tell you everything that you need to know and answer your most common questions before you start using your drone for commercial purposes. What are examples of commercial drone applications? What do I need to do before I can use my drone to make money? What other rules are indicated in Part 107? What are the qualifications for getting a drone license? Do I need to undergo a physical exam to be eligible for a drone license? How hard is the Part 107 knowledge test? What should I study? How do I get my drone license? What does the TSA look for in the background check? What can I do if I fail my TSA background check? For how long is my drone license valid? Do I need to apply for a remote pilot certificate if I already have manned pilot certificate? Do I need to get another TSA background check if I have a Part 61 certificate? Any application of drones that is geared towards profit-generating activities is considered a commercial application. The most common is drone photography, where aerial photos are taken by drones and sold to clients. The use of drones for film-making is also considered under this classification. The use of drones for monitoring and documentation of certain jobs, such as construction, is also considered a commercial application. Other notable commercial drone applications are mapping, real estate photography, and land surveys. The idea of using drones for parcel delivery is continuously being explored by many organizations, and will likely see widespread implementation in the near future. First, you need to register your drone with the Federal Aviation Administration (FAA) if your drone weighs between 0.55 and 55 pounds. This step is necessary for both recreational and commercial drone pilots. The process of registering with the FAA is fairly simple: you only need to provide your full name, your mailing address, your e-mail address, and pay a $5 fee. The FAA then assigns you a unique registration number, that you must indicate in all the drones that you own. 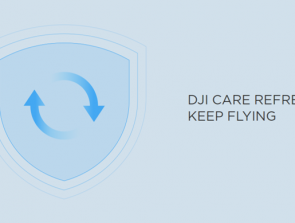 Through this requirement, the FAA instills a sense of accountability in all drone pilots. The second requirement is unique for commercial drone pilots. Before you can make money using your drone, you must obtain a drone license from the FAA. This drone license, also called a remote pilot certificate, is issued by the FAA to drone pilots who have passed a specialized knowledge test. On June 21, 2016, the first national regulations concerning the use of small unmanned aircraft were released by the Department of Transportation (DOT) and the FAA. 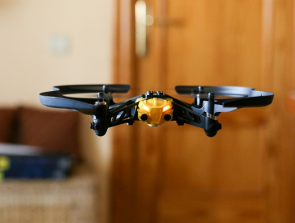 This 624-page publication, called “Part 107”, established standards regarding the commercial use of small unmanned aircraft such as quadcopters or drones. The most notable inclusion in Part 107 is the requirement for commercial drone pilots to secure a remote pilot certificate before they can engage in any commercial operations. The remote pilot certificate provides some guarantee that a commercial drone pilot is of sound mental and physical capacity to operate a drone, and has a degree of knowledge in fields related to drone flight. The FAA has been known to impose stiff penalties of $1000 to $1400 from drone pilots who operate commercially without the proper license. There is a chance that your activity ends up violating more than one regulation, further increasing the penalty that you will have to pay. Even if you don’t get charged a penalty, the FAA probably has grounds to confiscate your drone. Getting a drone license sounds like a lot of work, but we recommend going through the process of certification rather than facing the consequences. You can only fly your drone to a maximum altitude of 400 feet above ground. Flying above this altitude can be allowed within 400 feet of a structure. The assumption is that there is no traffic of manned aircraft near the vicinity of this structure. You cannot fly your drone to a distance beyond the range of your visual line-of-sight. This means that you must maintain line-of-sight communication with your drone at all times. This line-of-sight must be established without the aid of vision-enhancing devices outside of corrective lenses. If you are flying using FPV technology, you must have a secondary observer that will establish line-of-sight of your drone for you. At no time is an observer or pilot allowed to be responsible for more than one drone. Drone flight only allowed during daylight. Flight may be allowed during twilight as long as appropriate anti-collision lighting is used. You are not allowed to fly your drone over people who are not directly participating in the activity. Drone flight is not allowed under a covered structure, or inside a covered stationary vehicle. No drone flight is allowed from a moving aircraft or vehicle. An exception can be made for sparsely populated areas, where drone flight from a moving vehicle may be allowed. Drone flight can be done without prior permission from air traffic control (ATC), as long as flight is restricted within Class G airspace. ATC permission is required for drone flight in Class B, C, D, and E airspace. You must be physically and mentally sound to operate a drone. You must be at least 16 years of age and have a valid government-issued identification card that clearly states your name, address, and signature. You must also be of sound physical and mental state, and must be able to read, write, speak, and understand English. Lastly, you will need to take and pass a Part 107 knowledge test. No, a medical exam is not required prior to applying for a drone license. The assessment of whether an individual is physically or mentally sound to pilot a drone is conducted by one’s self. Appointments for the Part 107 knowledge test can only be made through one of two companies: CATS and PSI (formerly LaserGrade). You can either call, email, or use their online request form to set an appointment with either one of these companies. The test can be taken in one of almost 700 testing centers scattered across the United States, making it very easy to find a testing center near you. You will have to match your ideal testing center with the test administering company, as not all testing centers are served by both of the companies. To make an appointment, you will have to bring along your government-issued ID and pay a $150 fee. The knowledge is composed of 60 multiple-choice questions, and you will have to correctly answer 70 percent (42 questions, to be exact) to pass. You will be given two hours to complete the test. You are also allowed to bring a calculator and a magnifying glass to aid in answering some of the questions. Sounds simple, right? Sorry to disappoint you, but passing the test is not quite that simple. The knowledge test covers a wide range of subjects that are directly or indirectly related to drone flight: weather, aerodynamics, emergency procedures, radio communications, cartography, and FAA regulations. The FAA has helpfully provided a list of suggested study topics in their website. Most people who have taken the test recommend at least 15 to 20 hours of dedicated studying. We strongly suggest committing at least one weekend of focused and dedicated study if you are genuinely interested in taking the Part 107 knowledge test. Studying for the knowledge test is probably the biggest hurdle that a drone pilot will encounter on his or her way to getting a commercial license. In fact, we recommend setting aside and committing to a study period before you even set an appointment to take the test. We cannot stress this enough: take this step seriously if you really want to get that drone license. What materials can you use to study? The FAA has released an 87-page study guide which covers all the essential topics for the test. If you can manage to read this material cover to cover and retain 100% of the knowledge in it, then you are certain to get excellent marks on the test. You can even go as far as reading all 624 pages of the Part 107 ruling to really get a comprehensive knowledge of drone flight legalities. Some people have commented that they found the FAA study guide too technical or tedious. If you share this sentiment, then you can try any of a huge number of Part 107 study guides available online. These study guides can provide a combination of reading materials, instructional videos, knowledge checks, and sample exams. Take note that not all study guides are made equal, and it is really up to you to decide which one you can work best with. After about 48 to 72 hours, your score will be posted online in the FAA website. If you fail the knowledge test, you can set an appointment for a re-take after 12 calendar days. Take note that you will have to submit the appropriate Airman Knowledge Test Report (AKTR) indicating the failed result of the previous test to the testing center. The failed AKTR will be retained and attached to your FAA record. A second method is available, which is both more convenient and faster. You only need to create an account and log on to the Integrated Airman Certification and Rating Application (IACRA) online portal of the FAA, and submit an application for the certificate. You will have to quote the testing code of your successful test as proof. After a TSA background check, you should receive a temporary drone license that you can print out and is valid for 120 days. During this time, you should have received your permanent certificate which will be sent out by mail. As part of the remote pilot certification process, the TSA will conduct a background check on you. What does the TSA look for? Nobody really knows for sure, but it is almost certain that they the background check will involve an inspection of your criminal record, if you have any. The TSA is known to use a highly secretive criterion to vet for airline personnel, and this same standard will probably be used as the basis for vetting drone pilots. The TSA commits to observing due process in conducting their background checks and deciding whether or not to grant drone licenses to individuals. Should you fail a background check, you should receive a notification by mail after the TSA has reviewed your application. You have the option of appealing a background check failure before an administrative law judge who is specifically responsible for hearing complaints regarding government agencies. A drone license is valid for up to 2 years. 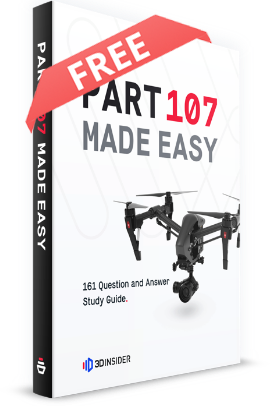 After this period of validity, you will have to retake and pass again the Part 107 knowledge test to renew your drone license. Yes, you still need a remote pilot certificate. The good news is that you do not have to go through the standard process. If you already have a pilot certificate issued under Part 61, and have completed a flight review in the last 24 months, then you do not need to take the Part 107 knowledge test to be granted a drone license. Instead, you only need to complete the free online training course called “Part 107 small Unmanned Aircraft Systems ALC-451” which is available on the FAA website. After completing the course, you need to fill up the FAA Form 8710-13 (FAA Airman Certificate and/or Rating Application for a remote pilot certificate), and make an appointment with your local Flight Standard District Office (FSDO) to have your form signed and certified. The appointment needs to be made in person as the FSDO needs to validate your identity. This means that you will need to present an identification which includes your photograph, signature, and residential address. This information may be completed using more than one identification card. After the validation, an FSDO representative will issue to you a temporary airman certificate. 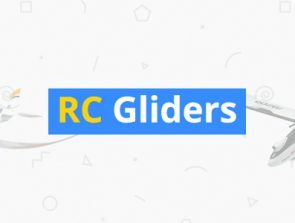 Your application will then be forwarded to the IACRA, who will issue the final remote pilot certificate following standard FAA internal processing procedures. You should have already undergone a background check when you obtained your Part 61 certificate, so you will not need go through the TSA background check again. 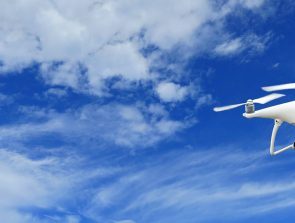 Earning a remote pilot certificate can be a long and involved process, but the FAA has made it legally required for commercial drone operations. It may also cost you some significant cash in fees and in training courses, should you choose to take one. However, you can consider these expenses as part of the capital for your future drone business. Many people have also found the experience of studying for the knowledge test very enriching. Whatever the outcome, you are sure to learn quite a lot in topics directly related to drone flight. You’ll come out of the process not only as a legally certified commercial drone pilot, but a better drone pilot altogether.